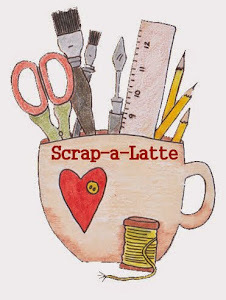 Scrap-A-Latte : Tool Time @ Scrap-A-Latte! We're all guilty ... we all manage to collect crafty tools that, once we get them home, really aren't quite sure what to do with 'em now. So that's why I'm starting Tool Time @ Scrap-A-Latte. Tomorrow is the first one, and I'll be showing folks how to use Tim Holtz's new Sidekick and his new Side Orders. Then you'll be all set to put it to good use on your next creative endeavors! Come on by the store anytime between 11 am and 4 pm on Saturday, February 17th for a demo. There's a very small $1 fee to cover materials. It'll be a fun time, and each I'll be changing up the tool or product being demo'd often. So watch the newsletter or future blog updates for more.